Drawer inside. 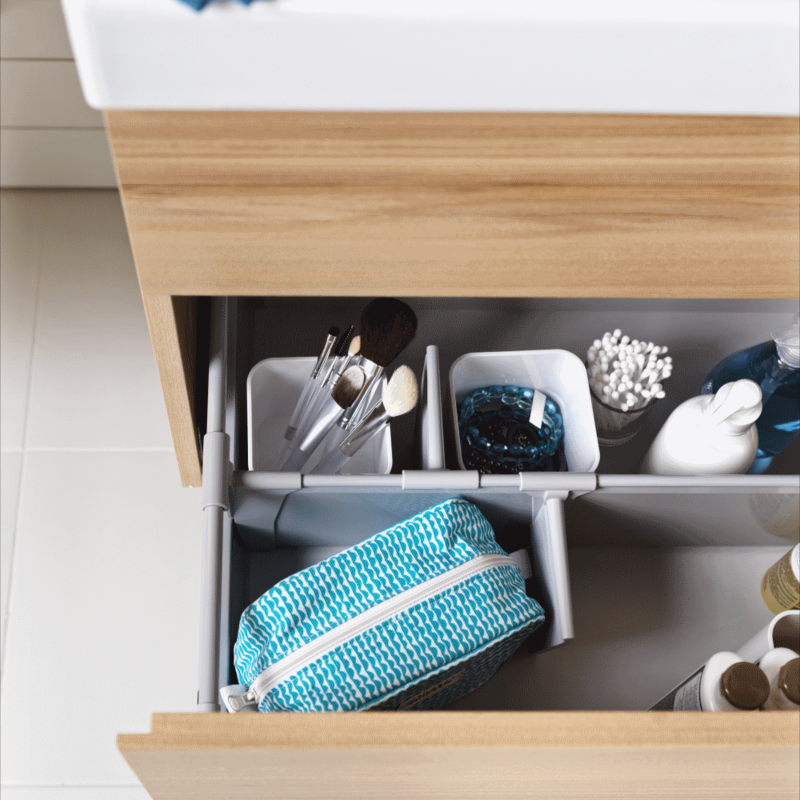 Adjustable system with one rail and four compartments. Light grey. Suitable for 97800, 97801 and 97802 base cabinets.